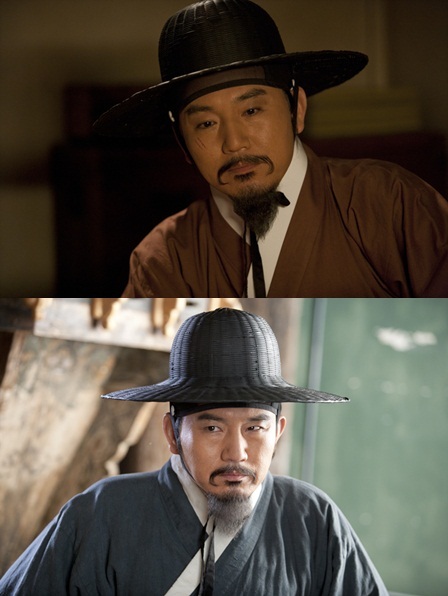 The photos of two different styles of Han Myung Hoe (played by Son Byung Ho) of JTBC’s Queen Insoo have been released recently, attracting audience’s attention. In the drama, the charming adviser Han Myung Hoe who works with Grand Prince Suyang (played by Kim Young Ho), at times often consorting with prostitutes, while at home he has to live under his wife’s nose (played by Lee Jae Eun). The interest ‘strict control by wife’ hen-pecked husband expression caused audience to laugh. The Han Myung Hoe played by Son Byung Ho was the main meritorious statesman in the 1453 coup that saw Grand Prince Suyang ascended to the throne, and he rose from little known local official to become prime minister. In the increasingly tense story, the plot of the character is also developed at full speed. The vivid interpretation and image building by Son Byung Ho on Han Myung Hoe who was famous with his eloquent has attracted the audience’s attention.